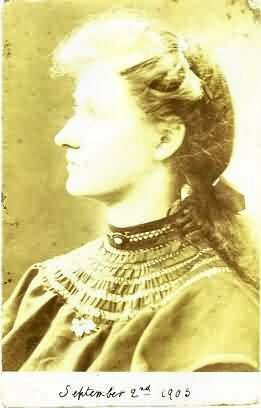 Here are both sides of a 1905 postcard from the Blunt branch of the family. 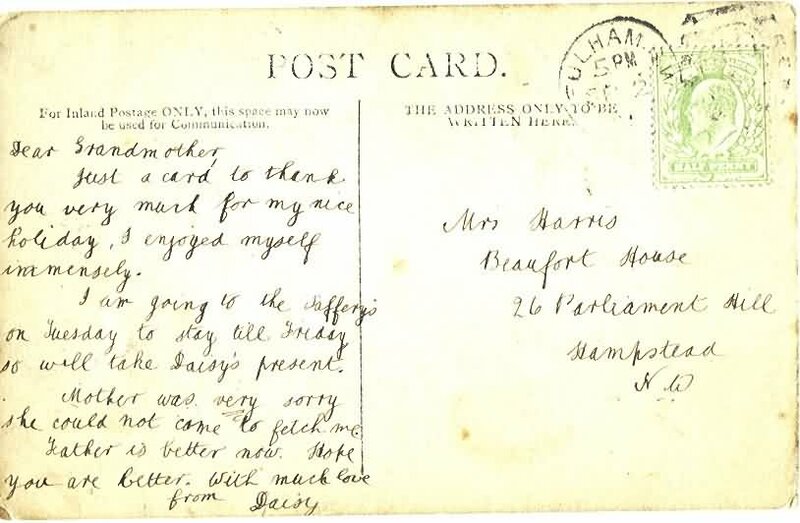 Can you identify Daisy sending the postcard, Daisy she writes about or Mrs Harris she is writing to? so will take Daisy's present. she could not come to fetch me.